Ah, good ol’ winter. It’s the perfect season for cozy mornings, hot bevvys… and typically being real freaking cold a whole lot of the time. But not anymore, you guys. I’ll say it – I’m over wearing something that isn’t warm enough because it looks good. I also don’t want to end up wearing a look I don’t love, just because I didn’t know what else to put on. This winter, I want to focus on pieces that work for real life, ones that rock function as well as they do form. In doing so, I’ve found it’s important to have your style essentials on hand so that putting together your outfits is effortless when it needs to be. 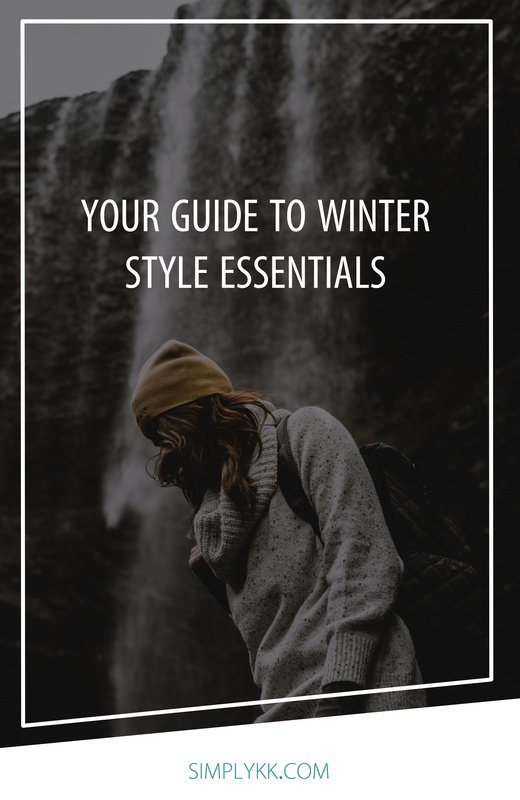 So here it is – your guide to winter style essentials. Whether it’s as a layering piece or a heavier sweater, I’m still firmly on board with turtlenecks. Having one on hand for your winter styling means you know you have a classic, “styles well with anything” type of piece. I love that you can dress them up for work or dress them down for anything casual. Plus, they really do layer well with so many different pieces AND come in such a variety of knits + soft materials. 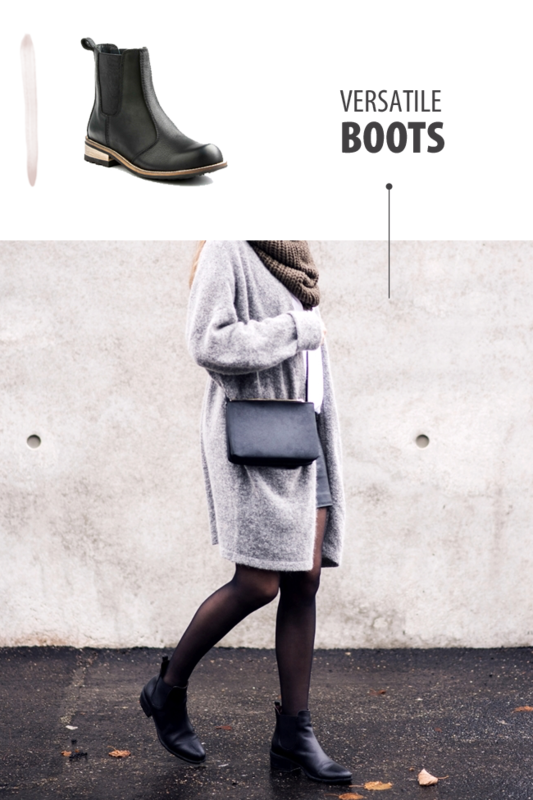 When it comes to winter and shoes, there’s a fine line between ~overreacting~ to the weather and then being completely unprepared. I mean, I’m not about to wear straight up snow boots to work because obvious reasons, but at the same time my flats often don’t cut it when it’s raining/cold/wet/icy. Enter these boots. I personally have the Kodiak ones listed here and I’m in love. People use the word versatile for just about anything these days, but I’d have to use it in 100% realness for these boots. So easy to pull on when the weather is blah and I don’t want to think much about styling… because they’re black, so by default they look good with everything. You know, an actual winter coat. This one just has to be a part of your guide to winter style essentials. So often I find style in the winter to look good but not be practical AT ALL. And while I’m not always the most practical person, when it comes to being cold, I just can’t pretend I’m warm if I’m not, even if my outfit is on point. Ya know? 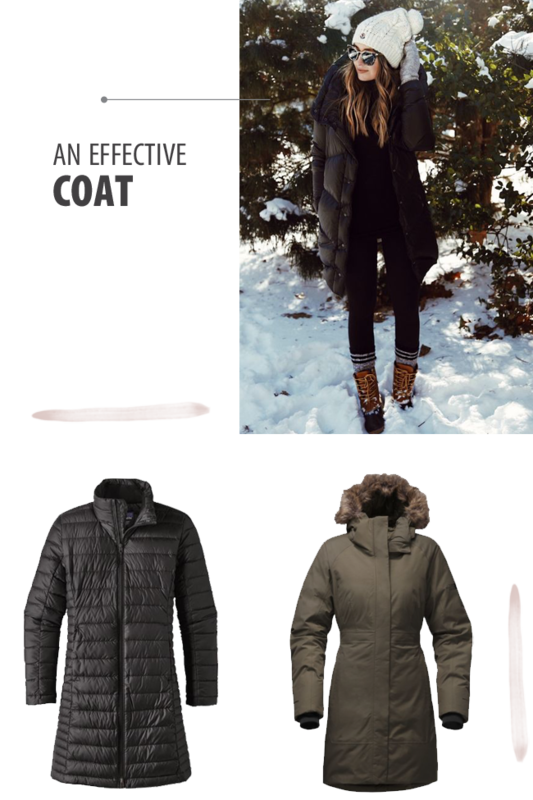 Enter a good winter coat that is simple enough to go with anything, will keep you warm, and is also long enough to throw on over just about any outfit you put together. That is what I can an effective (and hey, pretty classy looking, coat). I would like to officially announce myself as a hat person. Ta-da! And I think you should be one too, especially this winter. 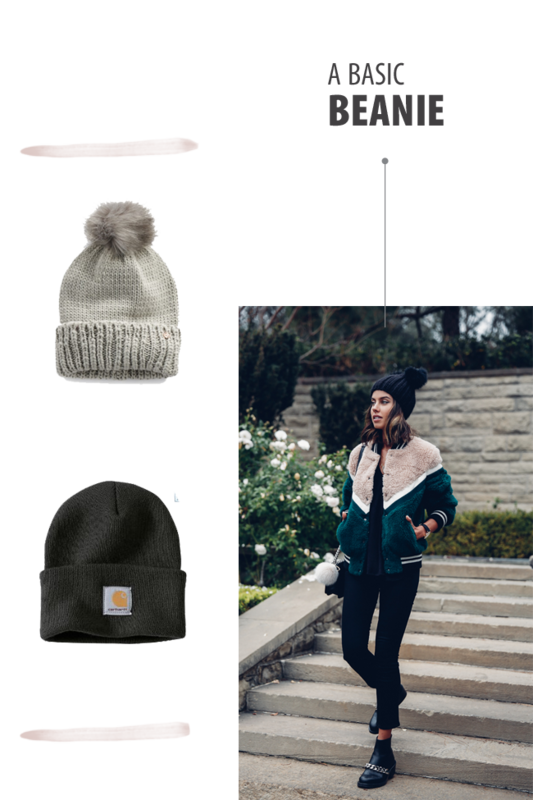 To keep it short & sweet: hats look cool (street style vibe amiright?) and keep your noggin warm, thus creating in perfect harmony form and function. The end! To wrap up your guide to winter style essentials: anywhere pants! Maybe they’re your favorite pair of dark blue cropped flares, or the perfect black skinnies. This winter, find your “go anywhere” type of pant and have it on constant standby for those days when it feels extra dark out and/or you hit the “but actually, what do I wear” crisis. Finding a pair of pants that are easy to style and compatible with a large portion of your wardrobe makes them an essential for this time of year. Whatever the “go anywhere” pants look like for you, find them and utilize them.